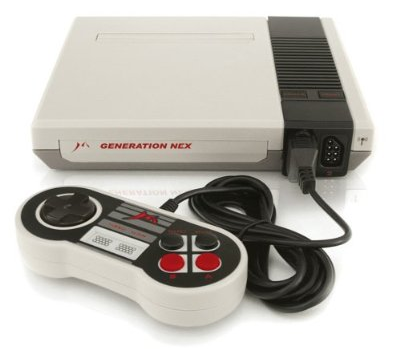 Released in 2005 by Messiah Entertainment, Generation NEX is a a decent NES clone which retails for about $70 in the USA. The console is pretty slim, measuring 7.5 x 8.5 x 4.5 inches. According to Messiah, the NEX plays about 97.25% of NES games, though gamers have claimed it’s a little less. It has two cartridge slots so can play North American and European 72 pin cartridges and Japanese 60 pin cartridges. It also works with all original Nintendo accessories. Overall the system has not proved to popular with gamers. The controllers resemble those from the Super Nes with the grey buttons at the top being start and select. In the middle where the start and select buttons should be are turbo buttons. Many have complained about sound not working correctly either. 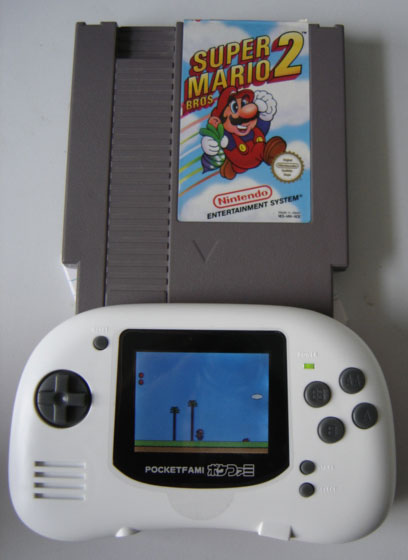 Released in 2004, the Pocket Famicom (aka PocketFami) was a handheld gaming device which allowed you to play original NES cartridges. 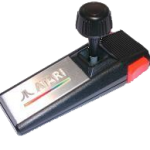 It features the original A and B buttons as well as turbo buttons. Users can also attach headphones to the device or export the signal to a television using AV cables. Interestingly, Nintendo took developers GameTech to court over the device and lost since many patents had expired. 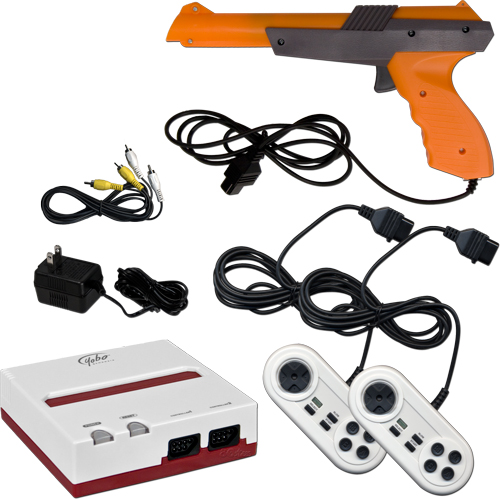 Retailing for about $30-$40, the FC Game System is an affordable NES clone which comes with wired controllers and a light gun. It was released in 2005. In Japan (and most of Asia) it is known as the Neo-Fami. The system also had trouble playing certain NES games.